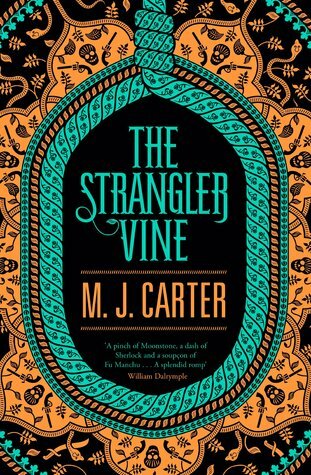 The next book in our history/historical fiction book group is The Strangler Vine by M.J. Carter. 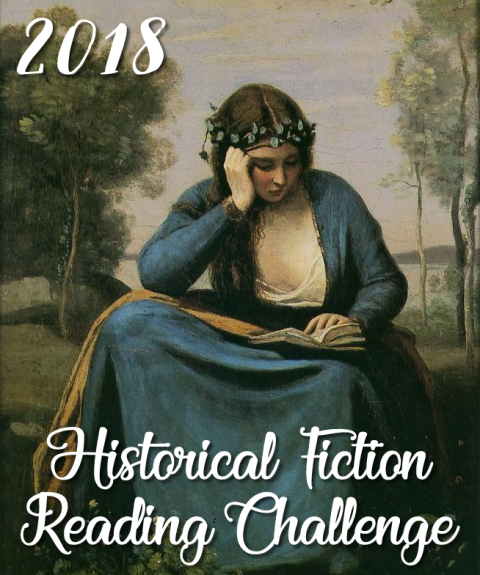 One reason I love historical fiction is for the perspective it brings to current day problems. Whenever I start to think we are living in times of unprecedented corruption and instability, a good historical novel reminds me that this stuff has been going on in some form or another for all of recorded human history and probably before that. In this adventure set in India in the mid 1800s, two men, employees of the East India Company are sent deep into native lands to look for Mountstuart, a missing poet whose latest work has offended the Company and its wealthy backers. William Avery is a first-year, low-level soldier who is naive, loyal to the Company, and a romantic devotee of the poet who has disappeared. Jeremiah Blake is a disillusioned ex-officer who has gone native and wants nothing to do with the Company’s orders. However, he has reasons of his own for wanting to find Mountstuart. There are elements of the "buddy" novel that I always enjoy. The two men are ill-suited at first, but grow to trust and depend on each other. Blake is the hardened jack-of-all-trades who can speak all the native languages, is a master of disguise, and who seems to have a secret knowledge that gets him out of any difficulty. Avery is fumbling and a poor judge of character, but he rides well, shoots even better, and is blessed with what he himself calls "stupid good health," which is crucial given the clime and the various injuries he sustains. He’s a very honorable man, so his disillusionment hits him hard and the reader will empathize. Mountstuart left Calcutta for the interior ostensibly to find the subjects for his next poem: adherents of the Thuggee cult, murderous natives who kill to please the goddess Kali. An extensive mythology has sprung up around them thanks to their study by a particularly zealous Company commander who has made it his life’s work to root them out. Avery and Blake are in constant danger from the moment they leave Calcutta, but it becomes increasingly unclear who it is that they have to fear. This dark novel puts the reader squarely into the exotic locale where the intrigues are palpable. The two heroes are easy to root for. And the historical context is top notch. 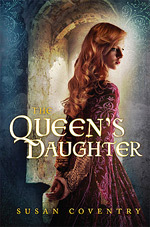 This is a book one, and there are two more in the series so far, so they are now on my to-be-read list. 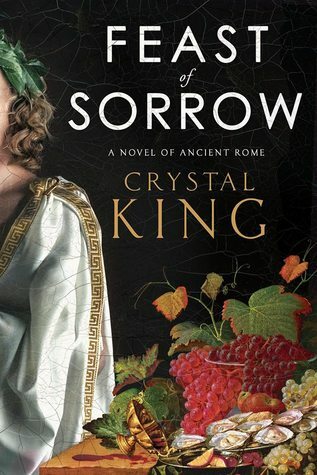 Released this week: Feast of Sorrow by Crystal King is a superb historical novel set in Ancient Rome. During the latter years of Augustus’ (and Livia’s) rule and during the reign of Tiberius, a Roman patrician named Marcus Gavius Apicius, one of the earliest known "foodies," embarks on a project to make himself legendary. Wealthy beyond measure, he has no talent for the usual methods of making a name for oneself in Roman society, and so concentrates on his one particular skill – exquisite entertaining. For this, he purchases a young slave, Thrasius, who has a reputation as a talented cook, paying 20,000 denarii, a ridiculously high sum. Thrasius proves well worth the investment. Not only is he a remarkable chef and party organizer, but he is astute and literate. Moreover, he’s a good man, which makes this book a pleasure to read. As a slave, Thrasius is completely dependent on the good will of his master. Apicius is an unpredictable tyrant, making it necessary for Thrasius to measure his words and walk lightly in the household. In his favor, he makes spectacular meals and Apicius’ fame spreads. Ultimately, Apicius hopes to become the gastronomic advisor to the emperor. Unfortunately, obstacles in his way include a former friend and now deadly rival, Octavius, who is in Livia’s favor, and Livia herself, who holds an old grudge against Apicius’ dear friend Fannia. Even worse, he has an enemy in his wife’s cousin, Sejanus, who holds an important position with Tiberius and thus is well placed to thwart Apicius’ rise. Thrasius works hard to promote his master, knowing that his own future depends on Apicius’ success. Moreover, he falls in love with the personal slave of Apicius’ daughter. Knowing she could be sold or given away at Apicius’ whim, Thrasius must do everything possible to stay on his master’s good side, even while watching Apicius behave in ways that are counterproductive, selfish, and cruel. The novel is a fascinating look at Rome from a unique perspective. The lush descriptions of the banquet bring the opulence and decadence of the times fully to life. The uncertain lives of slaves and the menace hanging over their patrician masters keep the plot tight and fast paced. Thrasius is heroic as a man with a unique skill attempting to protect those in his sphere as best he can. Apicius is oddly sympathetic as a mediocre man with a narrowly focused ambition, willing to sacrifice everything, even those he loves, in order to be remembered by posterity. King’s story is a convincing portrait of the man. Highly recommended. I read this book a while ago, but waited to post this review until closer to the publication date. 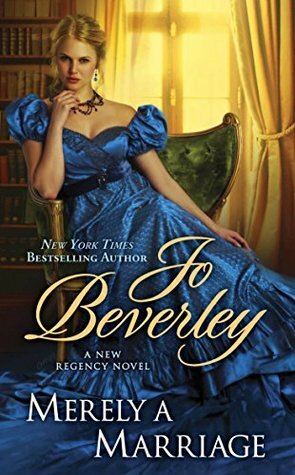 I’ve read a few of Jo Beverley’s Regency Romances and enjoyed them, so I was startled to see this latest novel, Merely a Marriage, described as her last. I googled her and was sorry to learn that she died in May 2016. 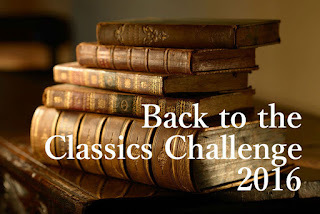 Jo Beverley’s historical romances have always stood out for me because she doesn’t just set them in the Regency period for the manners of the time. 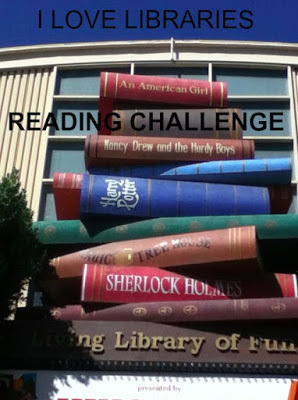 (The manners are important, of course; all the rules of courting and social behavior make these books fun escapism.) She also truly seems to know the time period and inserts more historical context into the storylines than is typical. The history isn’t the focus. It’s never heavy-handed and the books are clearly genre romance. But the historical tidbits are an added bonus. Merely a Marriage takes place immediately following the death of Princess Charlotte in childbirth. England is plunged into mourning. Social events are muted. Dresses must be in mourning colors. And the twenty-five-year-old Lady Ariana Boxstall is in a panic. Her father is two years dead and her brother, a couple of years younger than she, has no intention of marrying and filling the nursery with potential heirs. This could be a problem if her brother, Norris, should suffer an untimely death. Their uncle would inherit, and he’s a gambler and a nasty drunkard. Norris is too young and healthy to be concerned, which irritates Ariana. So, he challenges her: if she’s wed by the end of the year, he’ll marry right after her. Since she retired from society after a disastrous coming out at seventeen, he feels safe. But Ariana is not one to shy from a challenge. Ariana is beautiful, willful, and intelligent. However, she has a fatal flaw. She’s much too tall. Since she would never settle for a man shorter than herself, her options are limited in the countryside. She has to go back to London to find a wider field of choices. Her mother is happy to take her, and they will stay with an elderly relative who knows all the right people. Unfortunately, she knows some of the wrong people too: her nephew, the Earl of Kynaston, is one of the young men whose mockery made Ariana’s debut so painful. She might have endured it better if she wasn’t so smitten with him at the time. She’s older and wiser now, but still not prepared to share a roof with him. He’s as gorgeous (and tall) as ever, but he’s also still nasty, and he drinks to excess. Of course, first (and second) impressions can be wrong. As Lady Ariana shuffles through the men who survive the first weed-out round (tallness), she discovers that she’s even pickier than she thought. Height is the main thing, but not everything. Thrown together frequently with Kynaston, she finds he has more and more attributes on her checklist. Still, she resents him so much and is so certain he’s not interested in her, that she invents sins to assign to him, fabricating a tale of dissipation, rakish behavior, impoverishment, neglect of his estates and family, all to talk herself out of the attraction she still feels. Kynaston has his own reasons for keeping Ariana at arm’s length despite his attraction to her. The reader will be convinced that he’s actually a noble character long before Ariana admits it. Ariana’s willful blindness to all the clues gets a bit irritating after awhile. She prefers to invent reasons for his behavior and stick to her own version of his life despite all evidence to the contrary. However, once she is told Kynaston’s history, she does an abrupt about face. Now she sees clearly that he is the perfect man—the only man—for her. Ariana’s matter-of-fact approach to life makes her an interesting protagonist. And Kynaston is fine as the alpha male of her dreams. But her single-minded pursuit of him, including various plans to compromise herself so that he will have no choice but to marry her, get a bit unnerving. She tackles problems with an end-justifies-the-means attitude where the end is always to get what she wants. Since she’s certain that she knows what’s right for everyone, she sees no problem with forcing the issues. And, while she is naturally right that she and Kynaston are meant for each other (it’s a romance, after all), I found her character rather off-putting. Nevertheless, she is surrounded by charming supporting characters and I had fun reading this. 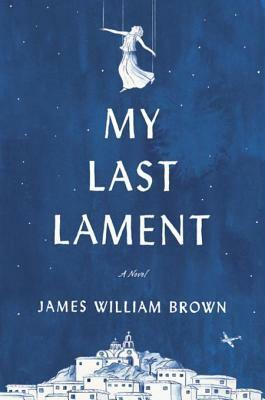 I’ve been looking forward to reading My Last Lament by James William Brown. I know pretty much nothing about modern Greek history, and the blurb for the novel intrigued me. Aliki is an elderly woman recording her "memoir" for an ethnographer who we never meet, who is studying the ancient folk custom of "lamenting" the dead. Visiting Aliki’s isolated village, the student was unable to witness Aliki in action, so she left behind a cassette player and some blank tapes. The result is this novel. A lamenter is not exactly a paid mourner and not exactly a eulogizer, but something in between. Upon the death of a loved one, a lamenter is brought in to encapsulate the life of the deceased with a poetic remembrance. Aliki’s gift for lamenting came upon her all at once and she performs the task in a semi-trance, not really knowing where the words come from. This recollection of her own life, this encapsulation, is, in a way, her own lament. Aliki was about 14 years old when the Germans took over her village. Early on, they executed her father for hoarding food, and she was taken in by a neighbor, Chrysoula, who had a young son, Takis. They grew up together and so shared a lifelong bond. Chrysoula was a woman of action. In addition to Aliki, she also took in a Jewish refugee family from the city, a mother and son, Stelios. Stelios is a bit older. Aliki and Stelios fall in love. Things are not going to work out well. Though the Germans are eventually defeated, they cause enough havoc in the town that the family is disrupted. Many of the villagers are killed. Then, unfortunately, Aliki, Takis, and Stelios find that post-war Greece is as savage and dangerous as occupied Greece. Stelios is a skilled shadow puppeteer, and the three set off trying to earn their living by putting on performances, first in the city and then around the countryside. Aside from the dangers of the ongoing civil war, the cohesion of their little group is threatened by the animosity between Takis and Stelios. Takis is mentally ill and hounded by confusion and guilt over what happened back in the village. He’s also fiercely jealous of the relationship between Stelios and Aliki. The novel serves as a tour of post-war Greece and an introduction to the political divisions that have brought Greece to the position it’s in today. The characters are sympathetic and the action is well paced. Readers may guess the secrets that drive the plot before the big reveal at the end, but that doesn’t detract from the story. 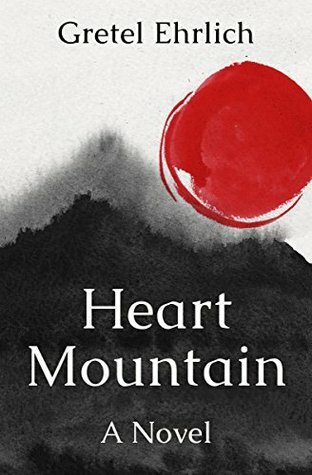 Heart Mountain by Gretel Ehrlich is a sprawling historical epic that combines Western fiction with WWII fiction to provide a moving account of Wyoming ranchers keeping the home fires burning during the war and of Japanese-Americans who were imprisoned (interned) at the Heart Mountain relocation camp. 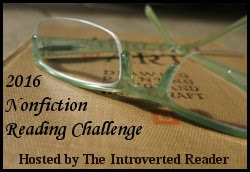 Told from multiple viewpoints, the novel is a bit choppy and disjointed starting out, but stick with it. The author slowly immerses you in the geography, the workaday world, and the intense emotional lives of very varied characters. As WWII fiction generally focuses on the atrocities committed by the enemy, it’s too easy to forget about the ugly side of the war effort at home. Heart Mountain shows the conflicting feelings of those left behind (too old to fight, deferred for medical reasons, women) and those disillusioned by fighting (a medic, a prisoner of war, and a wounded soldier, as well as a Japanese-American pilot). It also shows the varying responses of those interned and of the isolated community surrounding the camp. This is straightforward, old-style historical fiction and recommended for twentieth century historical novel fans.